Insulin hormone plays a major role in building fat and muscle mass in the body. Whether you love to gain weight or add pumping muscles, you need to rely on carbs to a certain extent. Usually, people have a misconception that carbohydrates are treacherous to the body but they are not. In fact, they are vital in right quantities to supply constant energy and power. There are different approaches when it comes to the fitness world and their diet regimens. Will GlycoLog insulin mimetic be of any help to gain muscles and have a healthy weight? Read below to know more about the body responses and the working mechanism of insulin. Also, get to know how GlycoLog Insulin mimetic helps to gain muscle mass and a healthy body. Fed of low-carb, carb-loading and carb-cycling methods and still running out of energy? Stop worrying as GlycoLog insulin mimetic can be the answer if you are on the lookout for a cool product. However, before that, you need to understand the impact of carbohydrates on our body. When we eat a high carb diet, our digestive system will break the digestible foods into sugar. This sugar enters the blood and when there is a spike, the pancreas produces the insulin hormone. Insulin then commands the cells to absorb the blood sugar and use it for energy purposes or store it for later use. GlycoLog helps to turn the spike in insulin to your advantage. 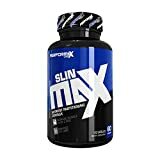 This anabolic hormone (lends hand to the growth and repair of the body) can work differently and improve the muscle mass. The sugar turns to glucose and amino acid, which is then, turned into glycogen and skeletal muscle tissues. Using GlycoLog in this process will help to control the utilization of glycogen and amino acids. Know more about the working mechanism of GlycoLog. How does GlycoLog insulin mimetic work in favor for the body? Living on a high carb diet will lead to weight gain in general. In the other case when you feed on low carb diets, lead to exhaustion and cutting especially when you aim to have a fit body with muscles. Now you do not have to be confused whether to eat less or more. You can simply improve the carb intake and utilize it effectively with the help of GlycoLog. The insulin hormone can be taken advantage of with the help of GlycoLog. When the insulin hormone converts food into glucose and amino acids, GlycoLog helps to direct the same to gain strength and more lean muscle mass instead of gaining just fat alone. GlycoLog helps to transport nutrients to the right parts of the body effectively. It directs the glucose and amino acids into the muscle cells to make them stronger and well built. The whole process of insulin production and glucose cycle is custom shaped to your advantage. GlycoLog simply helps to use insulin for building muscles mass and growth instead of using it just for storage purpose. It does so with the help of high-quality ingredients extracted from bitter melon, chromium, cinnamon, and other minerals. With the help of these ingredients, GlycoLog pushes the pancreas to work in favor of your goals. GlycoLog works best when carbohydrates uptake is high. With high carb diets, GlycoLog does its job perfectly and utilizes maximum insulin. 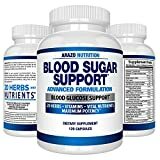 Blackstone labs also recommend living on high card diet while consuming GlycoLog. If you prefer staying on a low carb diet then GlycoLog may not work for you. The simple gist is that GlycoLog persuades your body to use the anabolic hormone insulin from the pancreas to work as a muscle-building agent rather than just as a storage compound. The result is your body will have slabs of hard and lean muscle mass. To achieve better results you can add GlycoLog along with other supplements like Trojan horse and anogenin. GlycoLog is an innovative product, which does the job of insulin mimetic. It works as a nutrition supplier by directing the essential nutrients towards the muscle cells. No matter how much carbs you eat, you do not have to worry about fat and weight gain. The carbs that you intake goes to build muscles instead of bulking as fat reserves. GlycoLog gives you an extra edge to make carbohydrates work the way you want. It changes the whole carbohydrate cycle and supplies unlimited nutrients to power your muscle growth and strength. GlycoLog helps to maximize the utilization of insulin for dual purposes, to control sugar and to build muscles. It also increases insulin sensitivity and improves glucose metabolism. GlycoLog is one of the best products that stimulates glycogen storage and facilitates muscle growth. GlycoLog does not accompany any side effects and offers only positive results. You can actually blindfold and rely on this product, as it does not contain any harmful substances. The only point that you need to take care off is “live on a high carb diet when using this product for better results. The majority of the customers who bought this product have positive comments to say about GlycoLog. They say that they have fuller muscles and can perform better due to enhanced strength. Many say that they have cut down weight and have built more lean muscle mass. Even though there is a lack of scientific proofs, there are many customer feedbacks to support this product. 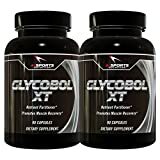 Many fitness freaks argue that using GlycoLog along with Trojan horse helps to build muscles and cut down unwanted fat. In general, there are no negative reviews available and most of the reviews indicate that this product works as said. Considering the reviews posted by customers, this product seems to be worth recommending. 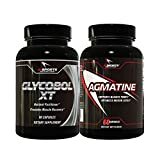 Glycobol XT & Agmatine Combo Pack by AI Sports Nutrition | 1x 90 Count Bottle of Glycobol XT and 1x 60 Count Bottle of Agmatine The Ultimate Pump Combo! Conclusion: Blackstone labs have excellent repute among its buyer for product quality and results. From various testimonials online, it is clear that GlycoLog helps to convert carbs into muscle mass instead of storing it as fat. It helps to cut down weight and gain more lean muscle mass. If you want to flaunt a fit body then GlycoLog is a great pick to get bulkier look or to cut down fat. This product comes at a reasonable price and works brilliantly when coupled with Trojan horse. No more confusion with carb diets and now use them to your advantage and gain a healthy body.